Bob Cunnings announces that his White Mesa test services will be running the Rec version of SOAP 1.2 on Sunday. Congrats to Bob for been out in front of the crowd (as usual), the timing works out pretty well, I think PocketSOAP's SOAP 1.2 support will be ready for interop testing by the weeked. I wrote a while back about options for integration hi-fi and PC, in the end I settled for the long cable runs, putting the PC on the end of a tape loop from the amp, and I'm pretty happy with it, turned out to be cheap ($40 worth of cables from radio shack), can listen to SomaFM, Tags Trance, Basedrive and other internet streaming radio station's on the hi-fi, can listen to to vinyl via the Rega p25 whilst still sat in front of the PC, and Sound Forge Studio works pretty well for ripping from vinyl to mp3s (for the iPod). 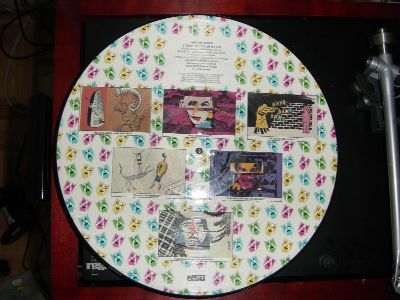 BTW, the Rega is absolutely awesome, well recorded vinyl is easily on par with CD, and even manages an impressive job when faced with 20 year old abused Art of Noise singles. If you have any sort of vinyl collection, do yourself a favor and get one these puppies. Best looking windows desktop aggregator I've seen. The combination of all posts and today's news is pretty cool. Doesn't handle HTTP 302 redirects. Space (or ctrl+U) moves you down posts, but won't move you to the next channel. could be an HTTP concurrency issue, a number of channels failed, yet worked fine when individually updated. I'll keep poking at it, but so far see no reason to stop using Syndirella or NetNewsWire. YMMV. I've been catching up on some reading on the pie/echo wiki, and there's a lot to read!, however I'm still lost on the postId issue, surely postId is an implementation detail and shouldn't be surfaced in the external data model ? I've pretty much finalized what I think will be in PocketSOAP 2.0, and have updated the roadmap accordingly. You've probably already seen that SOAP 1.2 made it to rec. Here's the W3C's take on why you should switch. Anyone have a list of diff's from the CR version ? Tim Bray has an excellent summary on why we need Pie. Yole has an update on his involvement with Syndirella. Its a great shame that he's not going to be carrying on with it, I plan to continue to work on various bit'n'peices for it, and now that it has a new home on sourceforge, the groovymother's fork and my previous forks can all be folded back into a single code base again. Thanks to everyone who sent in logos, I finally settled on Joe's art deco style logo, thanks Joe!. I've tweaked the layout & color scheme to keep with the deco theme. Some impressive kiting going on over on ocean beach earlier, the set of 4 were particularly impressive, the kites weaving around and between each other without getting tangled up, the 4 drivers running around each other to keep things in order. Unfortunately static pictures do a pretty poor job of showing how great a display it was. I've been making steady progress on SOAP 1.2 support for PocketSOAP 2.0, the serialization side is finished, and most of the deserialization support is done. After that it'll be tying it to the HTTP transport, and then adding the additional serialization extension points that I've been thinking about. Got a feature request for PocketSOAP ?, now's a good time to mention it!. Yasser has a bunch of details on WSE. Question for Yasser and/or KeithBa, will WSE 2.0 include SOAP 1.2 support ? Toooo funny, check out Chris's lost interview with Weird Al. Congrats to Sam for another year on the ASF Board. Mark has an interesting post on the history of dates in RSS. I'm hoping this'll be my last post on the subject of RSS. I'm sick of the flames, fud and general pointless energy burning, I'm more than happy with my current RSS feed, which is happily handled by every aggregator that I know of. Joe has an interesting post about nesting in RSS. I like the idea, although as Dare points out, something of a bandwidth issue. On the bandwidth front, it seem inevitable that eventually each RSS item will get its own file URI, and the channel will just contain a list of pointers (with timestamps) so that new entries can be pulled down without having to refetch the 14 before it that haven't changed. an interview with Sam Ruby. Is it just me, or is this an entirely pointless use of RSS. Sigh, Dave is really cranking up the FUD campaign. Anyone know of a good document comparing struts to ASP.NET ? Chris Sells, an employee of Microsoft, proposes an additional element for the CommentAPI. Joe Gregorio, the owner of the API agrees. I implement it on my weblog. As does James Snell. Kevin Burton, an open source developer, is planning on adding support for this to his project. [Sam Ruby] Very Funky!, I'm In. They still keep coming !, Richard Caetano did this one, I think it'd look great on the back of a t-shirt. And Grant Carpenter sent this one, thanks to everyone who's sent logo's. One more, this one's from Joe 'bitworking' Gregorio, thanks ! One more, this is from Aalia, who's also been trying out RESTLog.NET, thanks! Thanks to everyone who sent logo's. Here they are, vote away and keep themn coming! I'm planning on getting the Nokia 3650, any recommendations for wireless service in the bay area ? There's a new drop of MSNAmp available. This reverts your name back to normal when you hit stop. Pause should also work, but there's something funky going on with COM when Winamp pauses, causing the call into messenger to fail. Thanks to Dark Fader for the patch. Fixed the double encoding problem with the comments, and fixed the lack of formatting in the RSS feed of comments. Ted Leung has a post about user-agent values in aggregators. I've just checked in a patch for Aggie, to make it conformant. As Ted doesn't mention it, the format is defined in section 3.8 of the HTTP spec. Headed over to dorkbot-sf last night, lots of interesting stuff going on, including KeyKit a very interesting looking algorithmic music tool, got a peek at a color sidekick, and saw someone at the decks with ableton live, an impressive looking piece of sequencing/jam/mixing software. Also there were the making things folks demoing there interfacing hardware/software, which looked like it would be fun to tinker with. Don points to my 1.1 vs 1.2 questions and asks when stacks will start defaulting to 1.2 and degrading back to 1.1 on envelope version fault. This is something I'm currently thinking about, I'd like to make soap 1.2 the default version going forward, but depending on how its done, would probably break all existing code. not good. My current plan is to have multiple envelope objects, and to leave the existing progid/clsid assigned to a soap 1.1 envelope, and to have a new progid/clsid for a soap 1.2 envelope. (in actuality, they are the same envelope class, but a custom class factory will set the envelope version before returning the newly constructed envelope object back to the client). I'll have to think about the auto back peddle to 1.1 trick, I can see it been handy to get people up and running, but its probably something a production deployed service shouldn't be doing. Anyway given that the WSDL should indicate whether its 1.1 or 1.2 service, I'm not sure its needed. 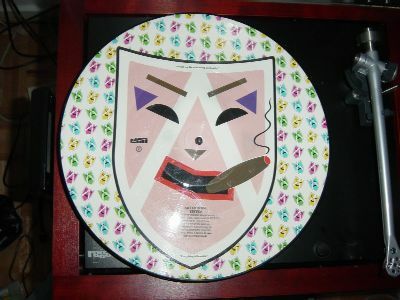 Amoeba is always worth a visit, I came away today with both a rare coldcut vinyl, and this awesome Art Of Noise picture disk. "To be in england in the summertime with my love, close to the edge"
This track first used Anne Dudley's now famous "hey" sample, which 20 years on is still being re-sampled. (I heard it in a TV advert last night for example) This is yet another version of "close" to the other ones that I have (how many different versions did they do ?, I recon I easily have 6 versions of it now). Truly ground breaking stuff, what I wouldn't give to be able to go back and see them perform live.